GIVE YOUR CHILD THE WORLD! Be part of the Kiddie Toes Montessori School Family! Our elementary level follows the Progressive Education Method. We also use the Singapore Math Curriculum. Kiddie Toes Montessori School (KTMS) envisions to provide its learners a natural playground that would them about the connections between food, health and the environment. 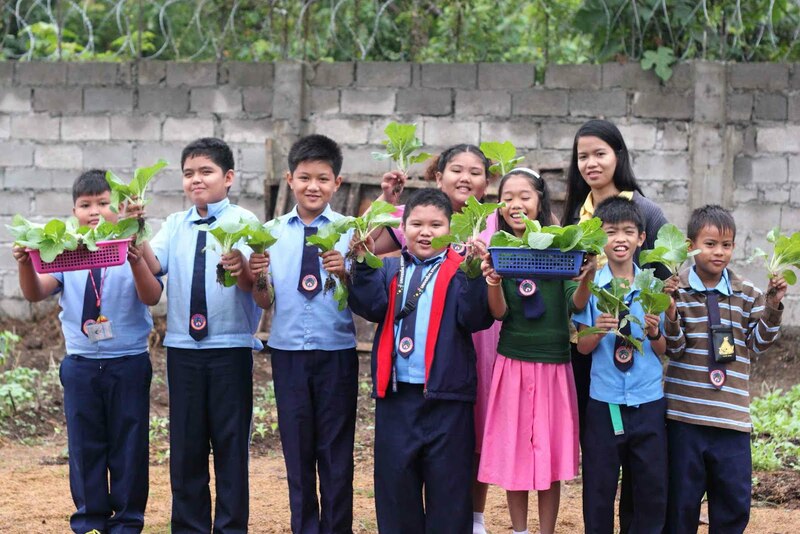 Aside from our efforts in making the school “green” and environment-friendly, we also hope that children will learn about healthful and natural food, and how important it is for the body. Thus, we have developed and incorporated the “Edible Garden” into the project approach of our Lower Elementary curriculum. With the Edible Garden project, the learners were involved in the daily process of soil enrichment, growing and harvesting herbs and vegetables, as well as taking care of the plants. In these photos, the Fourth Grade Learners took charge of planting Pechay (Bok Choy). They were deeply involved in watering their crops and taking care of the same. They were also made to experience harvesting their plants. After harvesting, the Pechay were cooked and sauteed (Ginisang Pechay or Sauteed Bok Choy). The learners were then made to taste and sample their produce. This activity does not only promote love for vegetable, and taking care of one’s health. It also promotes responsibility and accountability in terms of taking care and maintaining plants and crops. There will be more exciting and innovative activities related to the Edible Garden in the future. For more photos, please check the KTMS Facebook Account. "Providing big steps for little toes"
will provide an environment for their intellectual, emotional, physical and social needs. It will prepare the children for their journey in life, providing them with the basic tools to become successful members of the society. And this process starts at a very young age, enabling these children to take big steps with their little feet and toes.